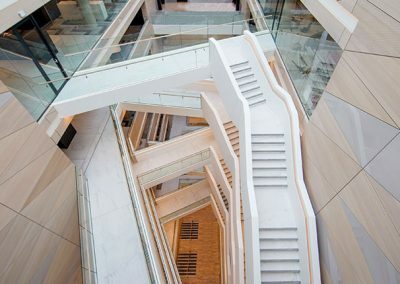 The Central Bank of Ireland building, located in Northwall Key on the banks of the river liffey is Irelands most iconic new building. 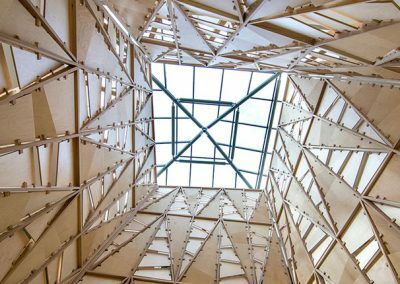 Having lay as an unfinished shell for some years, what was once a symbol of recession has now become one of recovery and renewal. 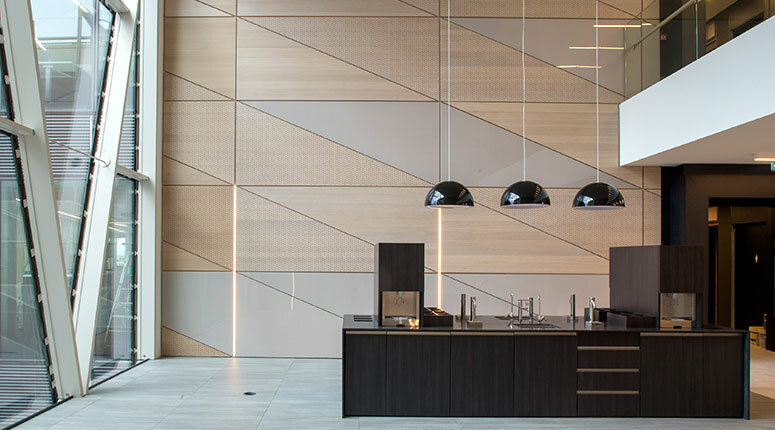 The building provides a progressive modern workplace conducive to teamwork and collaboration through use of space, natural light, materials, and acoustic performance. 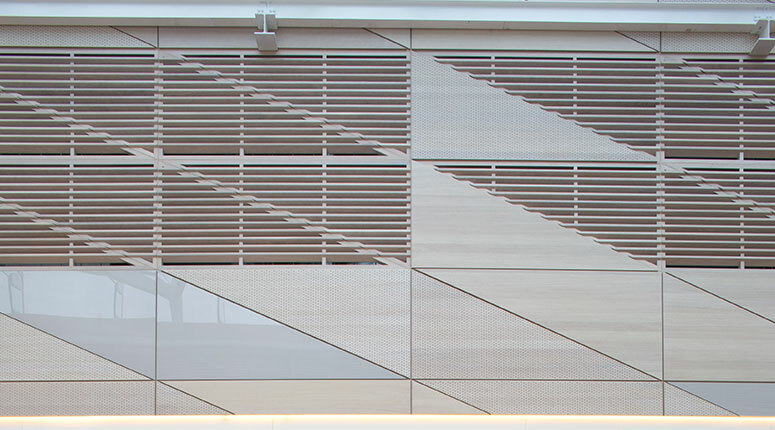 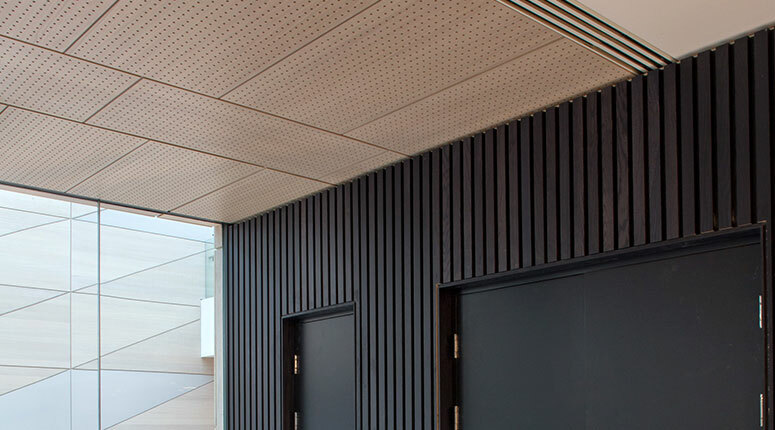 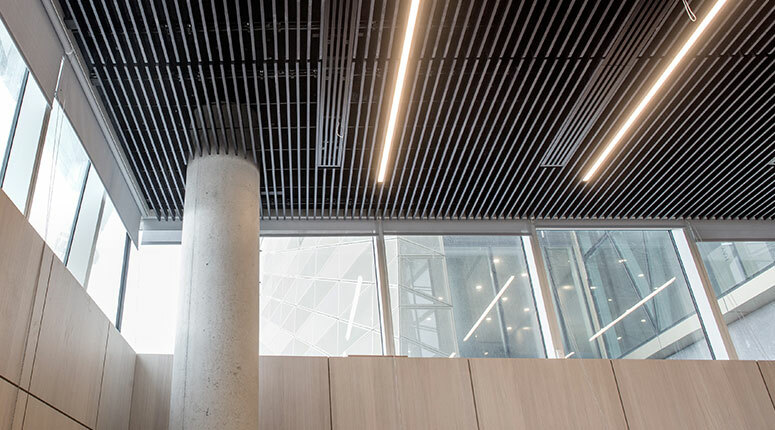 Woodfit provided custom acoustic systems and non-acoustic panelling throughout including ebonized slat ceilings and slat walls, custom white washed perforated panelling running the full 7 floor height, and perforated oak ceiling tiles, running throughout the work areas. 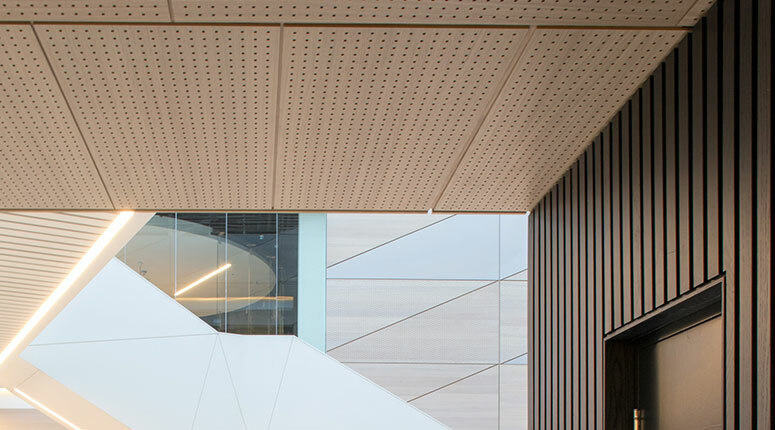 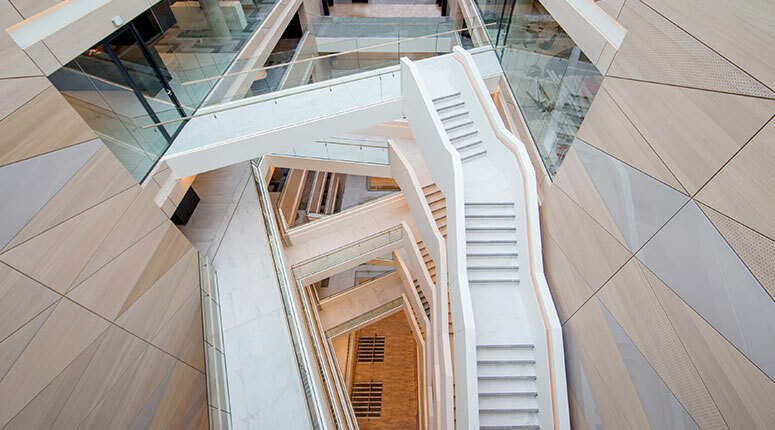 All timber provided was FSC certified and the building is expected to achieve BREAM “Outstanding” rating, the first office development in Ireland to do so.